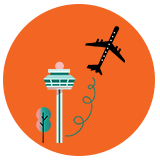 Landing with transit flight at Gatwick Airport and looking for an airport transfer to Heathrow? Let Waterloo Cars mange your transfer to Heathrow airport or any London hotel destination. Our professional and well-mannered driver will be waiting for you at Gatwick airport arrivals with your name sign. He will also assist you with your luggage and make your Gatwick to Heathrow airport transfer comfortable. 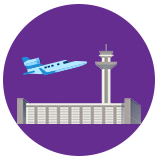 Book your Heathrow Taxi transfer to Luton in advance of your flight with us by using our instant online taxi booking panel. Waterloo Cars serves you a first class, premium and budget taxi transfer from Heathrow airport to Luton. 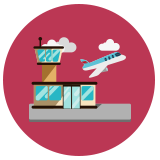 Whether you are travelling to airport or Luton city, let us manage your transfer to Luton with our best fleet drivers with free meet and greet service. There are many ways of travelling from the city of London to Gatwick airport. Many people have their own cars and could possibly drive to the airport. However, this is sometimes more trouble than it is worth. Firstly, there may be more luggage than will fit in the car if the whole family needs to travel. Then there is the stress of driving to the airport, finding a parking space and paying the high price for this space. Why not sit back in the comfort of a Waterloo minicab and start looking forward to that trip right away. Let’s face it there is a great public transport service in London but is this really the ideal way to travel to the airport. Think of the heavy luggage that needs to be lugged around multiple staircases, escalators and platforms. A cab or taxi from Waterloo to Gatwick will eliminate the stress from the journey and provide a safe and efficient trip for the whole family or group of friends. One of the main benefits of hiring a Waterloo taxi or minicab to Gatwick airport is the reliability that this company has to offer and is exactly what is needed for that important trip to the airport. Nobody can afford to miss a flight and this is why Waterloo taxis reliable service is the right choice. 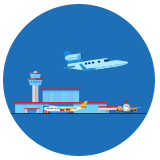 There are always strict time constraints on an airport journey and it is imperative to be able to depend on a reliable company. It makes perfect sense to hire a Waterloo taxi, cab, or minicab for this purpose.